The event was co-organized by Every Woman Every Child, ReAct Network and the Dag Hammarskjold Foundation, and co-hosted by the Permanent Missions of Argentina, Mexico, the Netherlands, South Africa, the Republic of Korea, Sweden, the United Kingdom of Great Britain and Northern Ireland and Viet Nam. Antimicrobial Resistance (AMR) has been recognized as a global threat for several decades, yet responses have not matched the magnitude and urgency of the problem. The most vulnerable groups—hard to reach individuals, women, newborns, children and adolescents—are also more vulnerable to super-bugs. When a drug that was originally used to treat a certain infection becomes ineffective, the micro-organisms that cause the infection might have become “resistant” to the drug. Some antibacterial, antifungal, antiviral and anti-parasitic drugs are less effective with such micro-organisms. As a result, relatively common infections are harder to treat, prolonging illness and increasing health care costs. This also increases the risk of death and disability. Misuse of antibiotics and other drugs accelerate the emergence of these “super-bugs” and what is called antimicrobial resistance (AMR). Poor infection control, inadequate sanitary conditions and inappropriate food-handling also promote this sort of resistance, threatening our ability to treat common diseases. Kuo also stressed that the AMR threat goes beyond health: the spread of antimicrobial resistance could have a large impact on the global economy and undermine the new sustainable development agenda agreed on last September. “As the recent outbreak of Ebola in West Africa has shown, health crises can have a major impact on countries, and even threaten peace and security. We will not be able to fulfill our collective ambition of leaving no one behind in the 2030 Agenda unless we are serious about reining in antimicrobial resistance,” she said. In a video message, Ambassador Juan José Gomez Camacho, Permanent Representative of Mexico to the United Nations, commended Every Women Every Child for helping organize the event, mentioning that he will facilitate the process for preparing a High-level Meeting on AMR on 21 September and encouraging all Member States to make a commitment to fight the specter of drug resistance. Professor Anthony So, Director, Strategic Policy Program for ReAct-Action on Antibiotic Resistance and the Johns Hopkins Center for Livable Future, moderated the panel discussion. Speakers from left to right: Precious Matsoso, Rohit Malpani, Steve Roach, Jaap Wagenaar, Yong-Sang Kim, Same Sally Davies, Keiji Fukuda. Photo: EWEC. 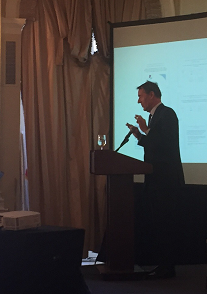 In his keynote address, Lord Jim O’Neill, Chairman of the AMR Review commissioned by the British Government and the Wellcome Trust, highlighted that the Review’s final report is the culmination of more than 18 months of work with industry, governments and civil society representatives across six continents. The body of work produced by the Review will support efforts to achieve international agreement on action and collaborative solutions, including potential milestones for AMR at this year’s UN General Assembly High-level Meeting, and the G20. 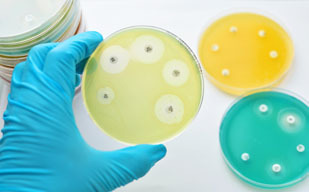 Since being established by the UK Prime Minister in 2014, the Review has been making the case that drug resistance threatens development and prosperity, as well as health globally. Significant volumes of antibiotics are prescribed inappropriately—a major driver of resistance. According to Lord O’Neill, the global community needs to go further, faster in reducing human and animal consumption of antibiotics. “Reduction efforts should focus on a commonly agreed list of antibiotics most critical to humans. We should also have more transparency and better labelling, and public awareness of the problem needs to be dramatically improved everywhere,” he emphasized, pointing out that actions to regulate both demand and supply go hand in hand. “A new generation of diagnostics could cut the high rates of unnecessary antibiotic use,” said Lord O’Neill, mentioning that reduced demand should also be extended to farmed animals, agriculture and food production: “We need to ‘shift the demand curve’ for antimicrobials. Consumers, as well as industry, have a vital role to play in addressing this,” he said. As part of his presentation, Lord O’Neill stressed the need for more permanent, sustainable solutions to curb AMR, including support for the development and global uptake of new diagnostics and comprehensive action to re­invigorate the supply of new antimicrobials, including a global innovation fund to support early stage research. H.E. Gabriel Wikstrom, Minister for Public Health, Healthcare, and Sports of Sweden, and Ambassador Mateo Estrémé, Deputy Permanent Representative of Argentina to the United Nations, offered closing remarks. Ambassador Estrémé highlighted the cross cutting and multidimensional challenge of AMR and the importance of political commitment to tackle it: “As we managed to achieve the historic commitments of last year regarding sustainable development and climate change, it is now imperative that we join efforts to gather the political will and needed resources to collectively address the issue of AMR. We are convinced that this issue should be at the forefront of the United Nations agenda in the upcoming years,” he stated.